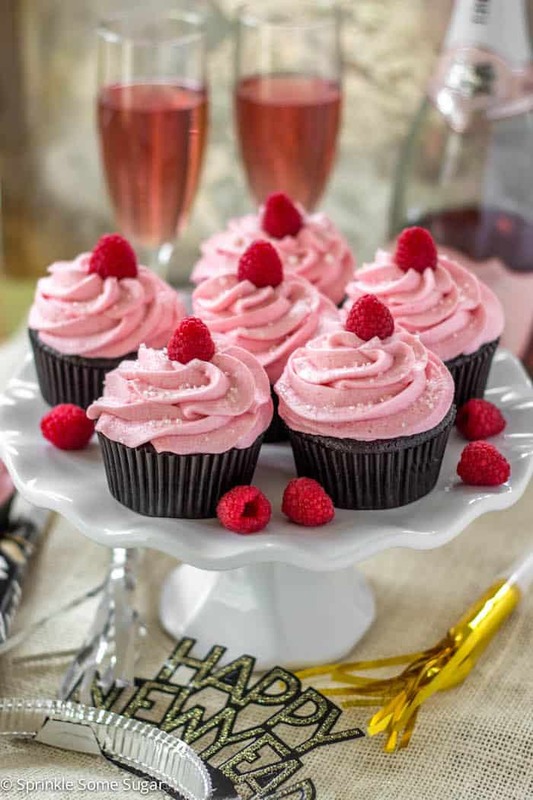 The deepest, darkest, moist chocolate cupcakes topped with a sweet and creamy raspberry frosting with CHAMPAGNE mixed in! Doesn’t it feel like all of these Holidays are just meshing into one another and flying by way too fast? I think so. I feel like it was just Halloween! Anyways, today is NYE and it’s time to celebrate! Need a fun dessert to bring to a gathering, I’ve got you covered! 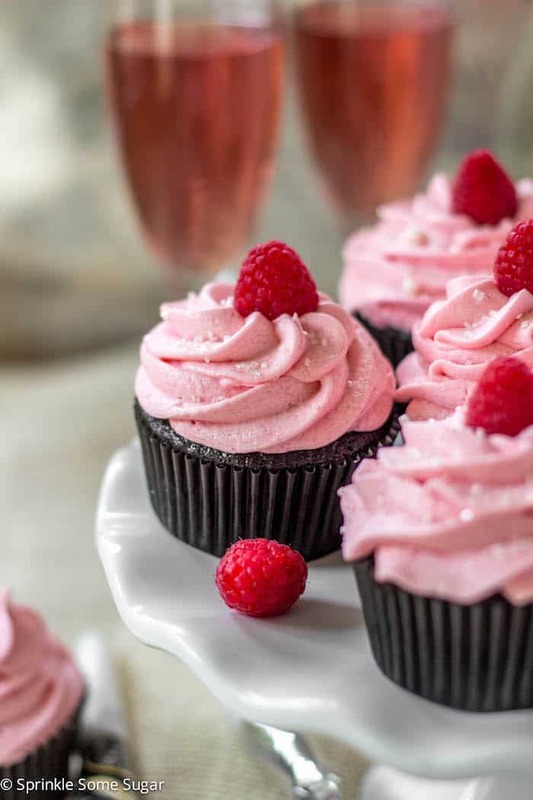 These dark chocolate cupcakes with raspberry champagne frosting are JUST what you need to impress your guests. I mean.. there’s CHAMPAGNE in the frosting! How fun is that?! The cupcakes are based off of my most-loved recipe for my ultimate chocolate cupcakes, I changed them up a bit by adding a little dark cocoa powder in place of half of the regular to make the chocolate flavor a little deeper and YUM! They’re perfectly moist thanks to my secret weapon Crisco® Pure Vegetable Oil. I love using it as the fat in my recipes when I can because it makes everything SO moist! Knowing that I’ll get a quality product when I’m spending lots of time Holiday baking is enough for me! These cupcakes are tender, have a nice light crumb and are so deeply chocolatey. If you don’t want such a deep chocolate flavor, you can just use regular cocoa powder by itself. Now, the fun part – the frosting! There are pureed raspberries (seeds removed) in the frosting and some pink champagne! Funny story about the champagne.. I made these cupcakes at 8 in the morning while my son was still sleeping and realized when I got to the frosting that I had never opened a bottle of champagne before. So, I did what anyone else would do. A quick google search and I found myself watching a youtube video of someone showing just how easy it was to open the bottle. I thought I had it down so I proceeded to open the bottle and BAM! I got blasted with a shower of champagne! Luckily, I was smart enough to point the bottle away from me. Ha ha ha, what is life these days?! These cupcakes would be the perfect touch to any special occasion you have coming up! Preheat oven to 375 degrees. Line a cupcake tin with paper liners, set aside. In a large bowl, whisk flour, sugar, both cocoa powders, baking soda, and salt. Set aside. 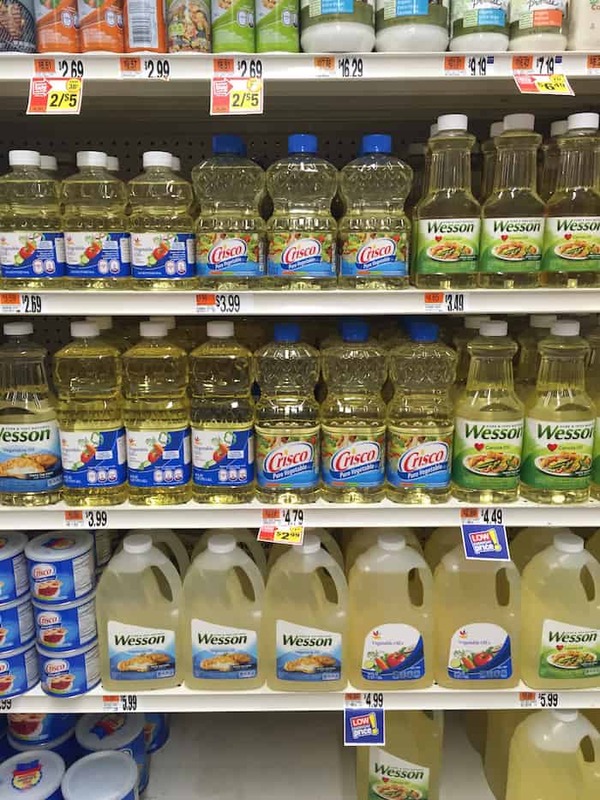 In the bowl of your stand mixer fitted wight he paddle attachment, beat egg, buttermilk, vegetable oil and vanilla together until thoroughly combined. Slowly pour in dry ingredients and stir until smooth. Pour in hot coffee and mix until completely smooth. Batter will be very runny. Divided batter among prepared cupcake liners no more than 2/3 full (the batter will rise over and create a huge mess!). Bake for 20-25 minutes or until a toothpick inserted in the center comes out moist with a few crumbs. Tops should slightly spring back when touched. Allow cupcakes to cool for about 10 minutes in hot pans so they have time to set up and be easier to handle before transferring to wire racks to finish cooling. While cupcakes are cooling, prepare frosting. Add raspberries to a food processor and pulse until pureed. Push through a mesh strainer and discard seeds. Set aside. Beat butter until smooth with no lumps. Scrape the sides as needed and add confectioner's sugar, raspberry puree and champagne. Beat until combined, about three minutes or until light and fluffy. If the frosting is too thin or it looks a little separated (from the carbonation in the champagne), add up to 1/2 cup more sugar to thicken it up. Frost cooled cupcakes. If you use less frosting than I did, you may have some extra. It makes just enough for 14 cupcakes. 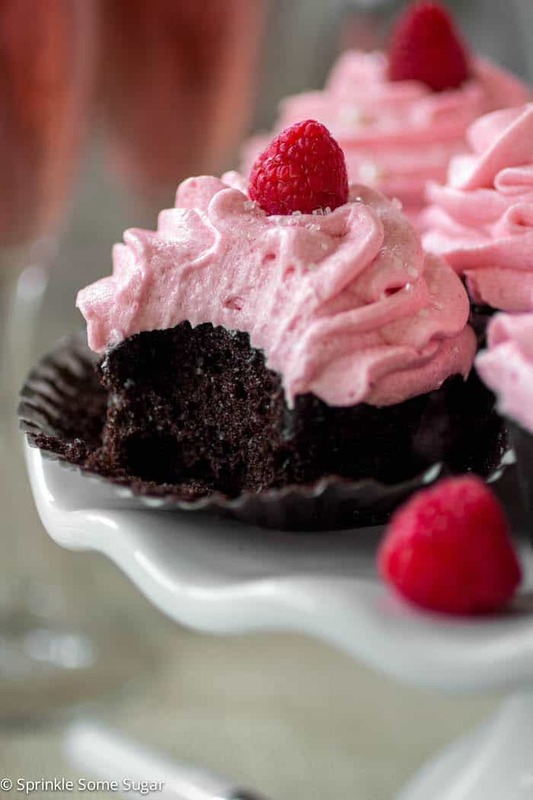 Dark Chocolate Cupcakes with Raspberry Champagne Frosting will stay fresh for up to three days stored in an airtight container. The cupcakes will last for 7 days but the frosting is only good for three. 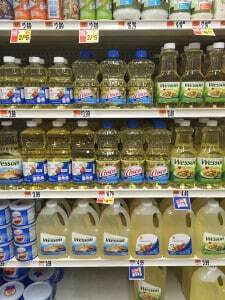 You can find Crisco® products at any Ahold store like Stop&Shop, Giant Stores, Martin’s Food Markets, Peapod. I found mine at Stop & Shop. Visit www.crisco.com for more information, tips, and recipes. 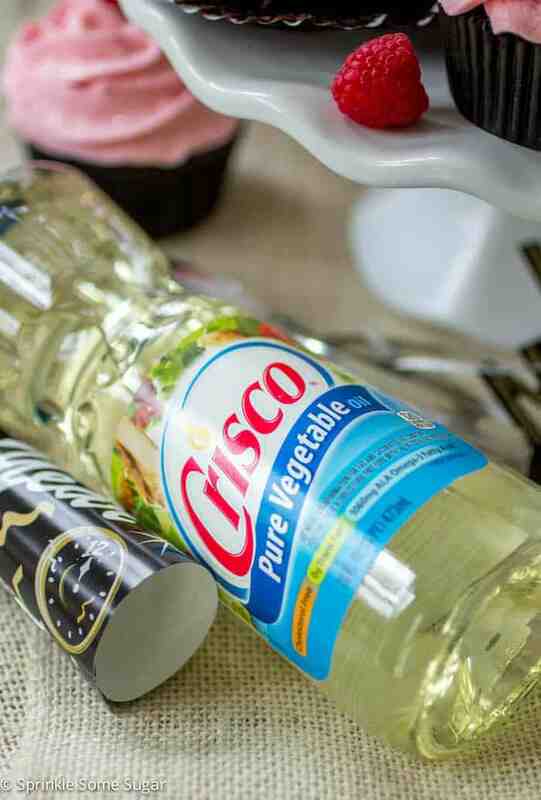 Check out The Dessert Debate for even more baking ideas using Crisco®. You can also like them on Facebook at or follow along on Pinterest! You had me at Rasberry Champagne. Wow! The frosting looks and sounds wonderful and add chocolate to the mix and it’s heavenly! I’ll be off this weekend and will give it a try! I’ve got everything but the buttermilk. Thanks, Nancy! Enjoy and I hope you had a Happy New Year as well! Mmmmmm Chocolate and raspberries. My favorite combination! I don’t care much for coffee, is there something else I can use instead? You don’t taste the coffee one bit! It just accentuates and deepens the flavor of the chocolate. But, if you are concerned, you can replace the hot coffee with an equal amount of hot water. Hi there! I’m in the process of making these right now and I notice the recipe calls for 1 egg, but in the instructions it says, beat EGGS….I just want to double check that I only use ONE egg, correct? Thanks so much! I can’t wait until these are done and we can eat one! Yes!! The recipe calls for one egg. So sorry about that, I will edit the instructions right now. Let me know how they come out! I’d love to see a picture! Thank you! These turned out wonderfully. I thought the frosting was too thick so I added a couple of extra tsp of champagne to the powdered sugar and it turned out great! My friends and family loved them. That’s so great to hear! I’m so happy your friends and family enjoyed them, Tessa!